Get cooking with Fresh & Fabulous and show everyone what good food should really taste like. 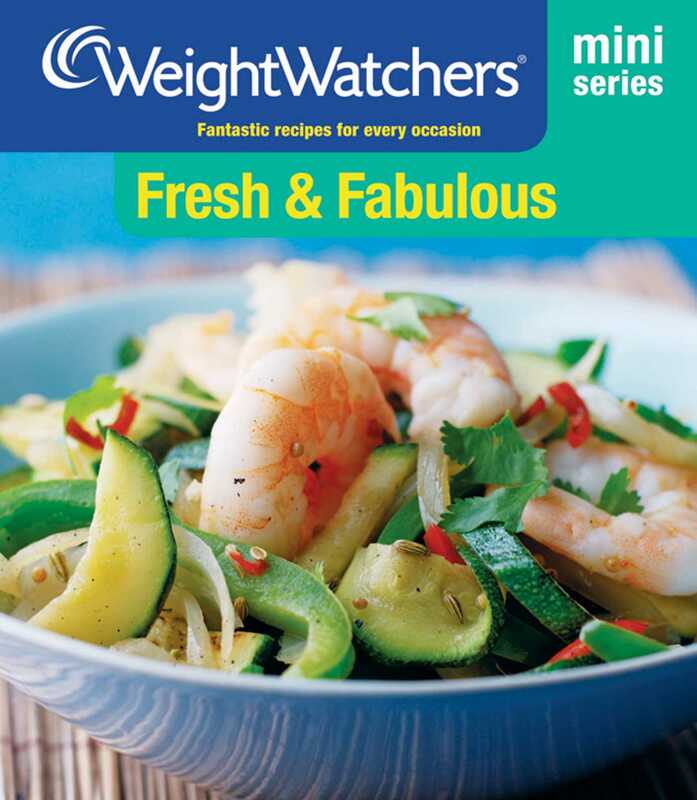 Full of wonderful recipes from the best of Weight Watchers cookbooks, this book will help you cook up fantastic meals that are full of flavour. Make the most of summer ingredients with Prawns with Lime and Chillies, Chicken with Olives and Oregano, Chargrilled Vegetable Tabbouleh or Fig and Raspberry Clafoutis. Brighten up winter with a Hearty Turkey Casserole, Stuffed Pork Loin, Balsamic Roasted Red Onion Pizza with Feta or Cream Hearts with Passion Fruit. Whatever your fresh ingredients, or whatever the occasion, there is sure to be a recipe here that suits your needs and is perfect for your family and friends.